Cellist Yo-Yo Ma and violinist Ithzak Perlman pair up on this Williams score. 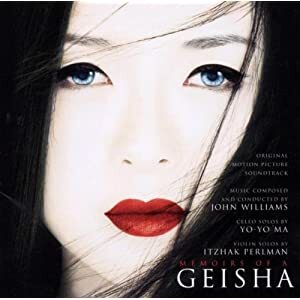 The result is some amazing instrumentation and a traditional Japanese feel with very little of what we tend to get from Williams- big dramatic scores. This is subtle and quiet and really builds moods. While much of it is quiet, ranging from magical to suspenseful to somber, there are some heavier and darker moments as well. A great album!